Hey, everyone. I know this has been inactive for almost a year. I have been involved in field placements and methods courses for my education degree and will be completing my student teaching in the spring. Even during the summer I was packed with strenuous six-week courses that consumed the majority of my time. However, I still receive the occasional e-mail about an article (usually the hip-hop one) that reinvigorates my desire to get new material out. I've done a lot of research and written some things on wide variety of topics since my last post, including the Japanese left in the pre-Wold War II (something Western leftists I think are relatively unaware of) era and the Great Starvation in Ireland among other things. Still, the amount of material I've been able to produce under the stress of these past couple semesters has been limited. I hope in the coming weeks to touch things up and make them available here. I have also collected an enormous amount of information, almost every possible piece I could find, on the Toledo Auto-Lite Strike of 1934, which I hope to explore more thoroughly as time allows. In lieu of any new material, I hope that I can point people in the direction of a recently opened petition. In the grand scheme of things, it is a small effort towards social justice, but I hope that it helps do a small part in both legitimizing Mixed Martial Arts as a tool in the fight for equality and stopping the creeping quasi-fascist racism manifested in SB1070. We currently only have a little over 40 signatures, but if we are going to stop the event in December we will need a LOT more! Please, sign the petition here. White has chosen to do this at one of the most irresponsible times, when Arizona's SB1070 law is set to hit the streets and begin terrorizing the latino and immigrant communities in that state.This is a vile and racist law that forces police to racially profile and harass Latino communities, a serious violation of both the American constitution and international human rights standards. The UFC and WEC have contracts with a significant number of Latino and Latino-American fighters, including but not limited to the Gracies, Thiago Alvez, Vitor Belfort, Lyoto Machida, the Nogueira brothers, Roger Huerta, Cain Velasquez, Efrain Escudero, etc. Any of these fighters, outside of the octagon and on Arizona's streets, could be targeted for the color of their skin. SB1070 is a law meant to legalize racial profiling and harassment of Arizona residents and anybody who visits the state, including MMA fighters, their families and fans. There is an international movement that is calling for an economic boycott of Arizona until it repeals the racist law. We, devoted mixed martial arts fans, demand that Dana White refuse to host any event in Arizona as long as the racist SB1070 remains on the books. We are taking a page from the activists who are calling on Bug Selig, the commissioner of major league baseball, to move the 2011 All-Star game from Arizona. When Arizona refused to honor Martin Luther King Jr. as a national holiday, the Superbowl was moved. The NCAA refused to host postseason games in states that flew the confederate flag. Sports players and fans have a long history of resisting racist laws. It's time the MMA world joins that legacy! 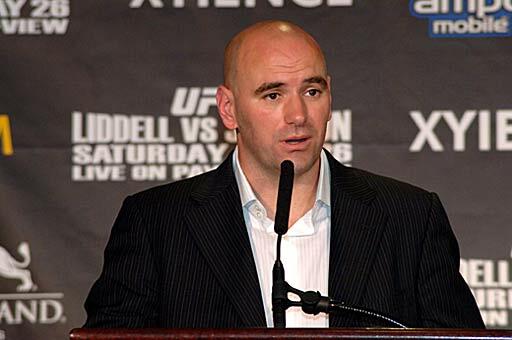 To Dana White: We say NO UFC or WEC event in Arizona until SB1070 is OFF the books! SIGN THE PETITION, tell Dana White NO UFC/WEC in Arizona!